This biodegradable formula works so quickly, you will see results in just 24 hours! This gives you peace of mind it is working, speeding up the weed killing action as well as killing the root system, so you know those irritating weeds will not return! It also utilises the unique IQ technology, which combines glyphosate with a burn down herbicide, in a formulation designed for best performance. 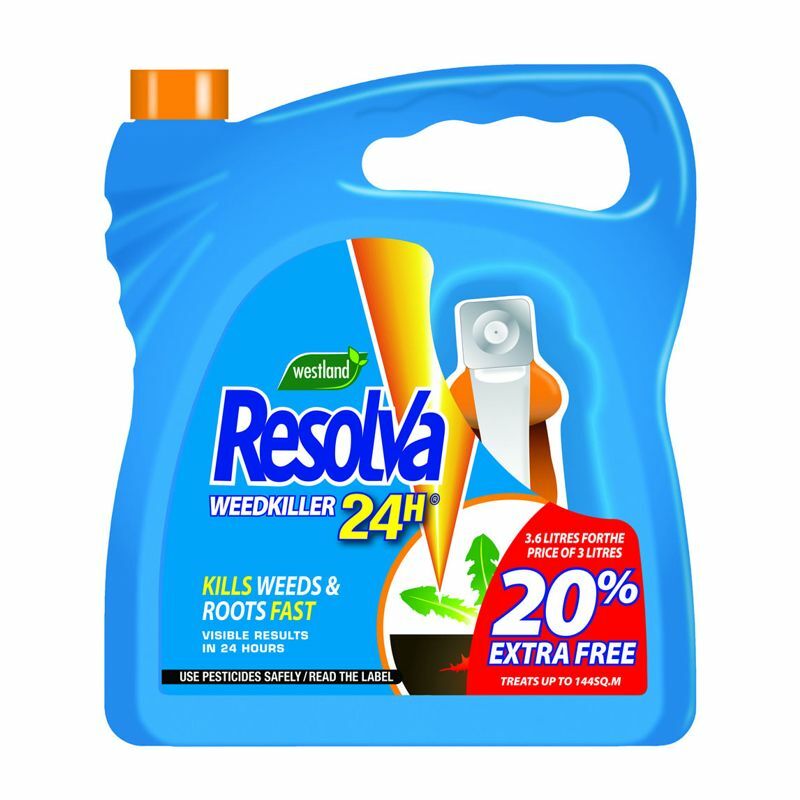 This technology in addition, ensures the effectiveness of Resolva 24H is not compromised when mixed with water from hard water areas - which can happen with conventional glyphosate formulations - ensuring fast and effective weed control anywhere in the UK. 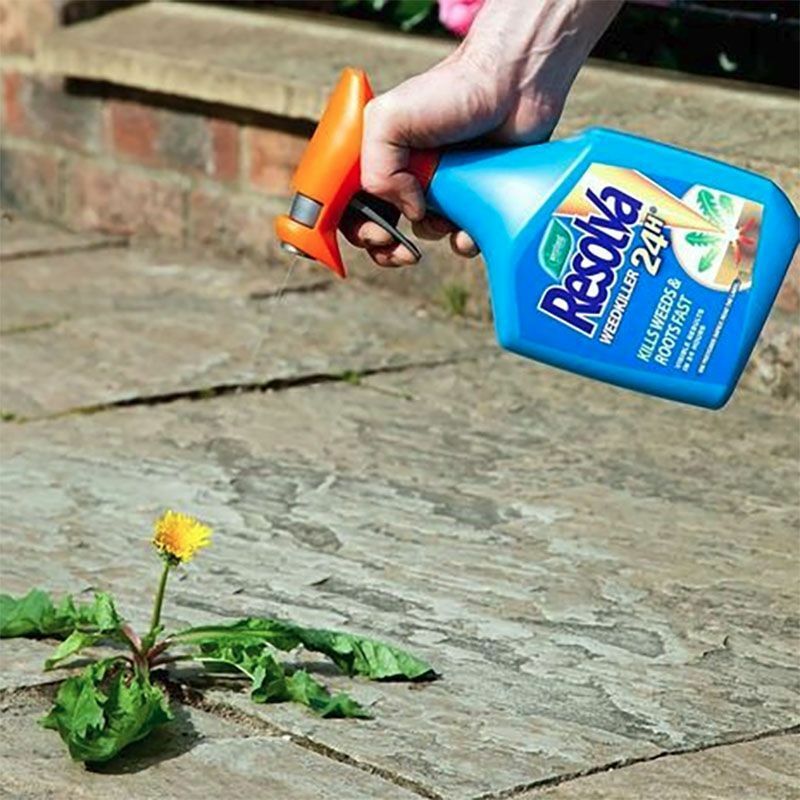 Resolva 24H Ready to Use is a ready to use weed killer that contains Glyphosate and Diquat for a fast and effective solution to unwanted weeds in the garden. 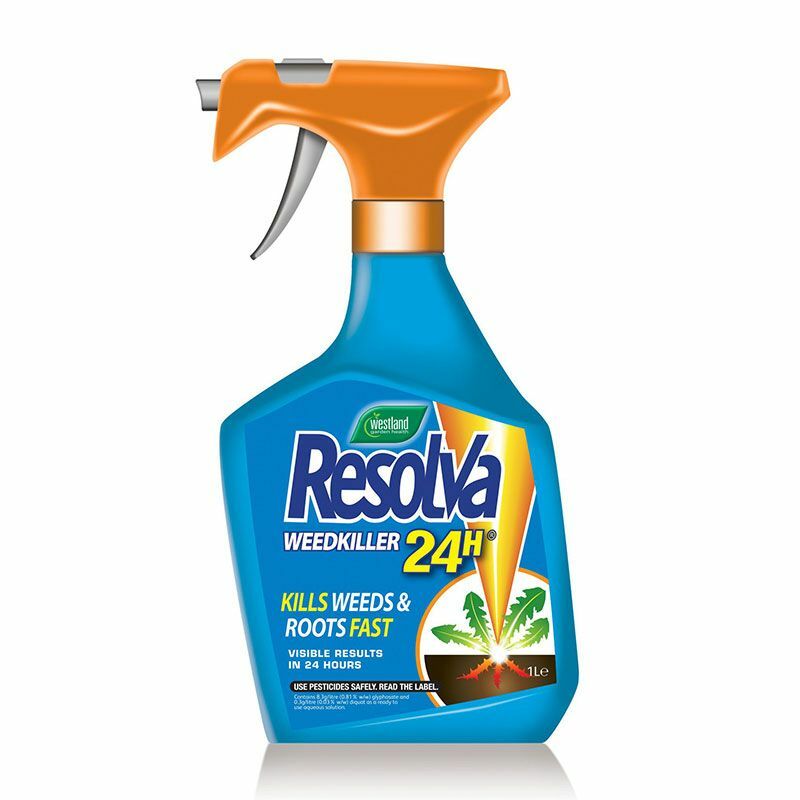 Resolva 24H is effective in use against grasses, docks, nettles, dandelion, bindweed and many more. Visible results can show 24 hours after application but it is recommended to leave 7 days from the first application before removing any dead foliage. The weed killer itself brakes down naturally into the soil. Westland advise using this product on a calm, rain-free day from April to November because this is when weeds are actively growing with a large leaf area that will absorb the liquid spray.